Supported by Tupperware, we launched an all-India health camp program exclusively for women in 2014. Under the program, camps are held in different cities over the span of six months. In 2015, we conducted 42 camps in 21 cities, benefitting over 4,600 women. 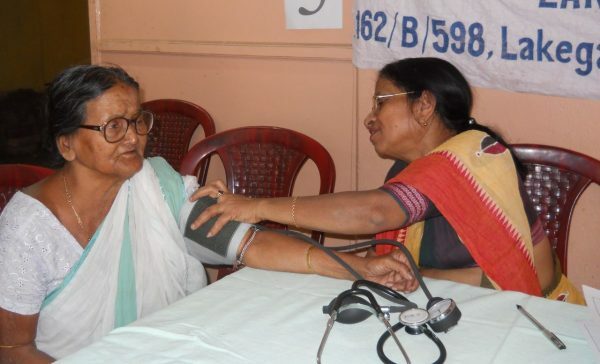 Women are provided with full health check-up and informed about different factors that impact their wellbeings such as Body Mass Index, blood pressure, blood sugar and ECG. We help them determine their bone and muscle density. Many women who attended our camps didn’t realize they had poor eyesight until we tested them – some of them have now been prescribed reading glasses at a subsidized price. Many of them had also never consulted a gynecologist before, whereas some of them had been diagnosed with breast and ovarian cancer before the camp, but had not seen a doctor since their diagnosis and treatment. We spoke to them about the importance of seeing a gynecologist every few months. We advise the women on gynecological care, reproductive health, nutrition and hygiene. A panel of doctors helps them understand the importance of good health and encourage them to consult a physician regularly. We also provide basic medicine kits to the attendees, encouraging them to keep a small supply of basic medication handy at home.